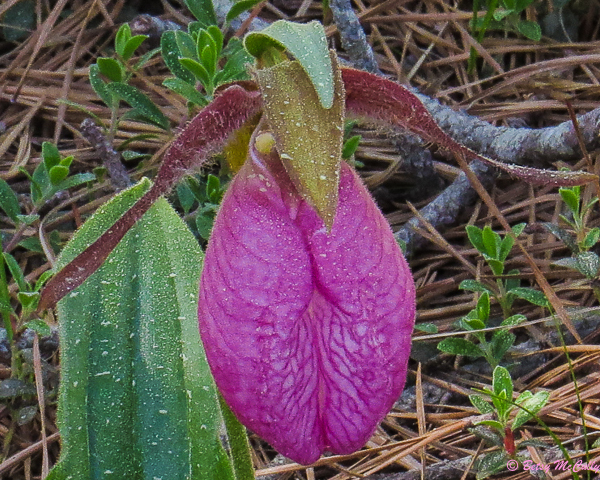 Pink Ladyslipper (Cypripedium acaule). Orchidaceae family. Native. Bogs, swamps, forest edges, open woods, especially pine or hemlock. This individual grew under pitch pines. Napeague, Long Island, 2018.